Throughout 2017, there has been discussion in Congress surrounding the National Flood Insurance Program (NFIP), which is set to expire tomorrow, Dec. 8. The program was established in 1968 as a service to at-risk communities by providing flood insurance in exchange for communities’ adoption of floodplain management regulations. Today, while many sources expect at least a short-term reauthorization, the program insures approximately 5 million homes throughout the country. Looking at the recent history of legislation surrounding the program, national flood insurance premiums look likely to increase in coming years. In 2012, Congress passed the Biggert-Waters Flood Insurance Reform Act, resulting in the planned removal of subsidies from the flood insurance policies. This would have increased premiums by up to 10 times in some cases. 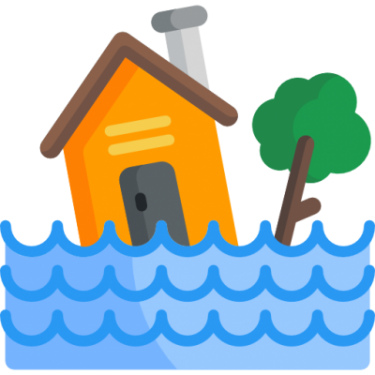 Though this law was replaced in 2014 by the Homeowner Flood Insurance Affordability Act, price increases are likely to return in coming years, as current estimations show that NFIP policies are being given at approximately half of the market rate. However, there are still ways communities can use the NFIP to their full advantage while bolstering against future price increases and preparing for flood disasters. Discounts on flood insurance rates have become more important than ever. Fortunately, for communities that participate in the NFIP, the Federal Emergency Management Agency has also established the Community Rating System (CRS). The Community Rating System is a program in which communities that follow higher standards in floodplain management are able to receive significant discounts for their policyholders. Currently, only 5 percent of the 22,000 communities participating in the NFIP also participate in the CRS, though many communities would already be eligible for discounted insurance rates. This system allows communities to save significantly while bolstering their flood resilience. These four categories hold 19 total creditable activities that give credit points. For example, communities can obtain credit points for regularly inspecting the municipality’s stormwater system, designating land within floodplains as preserved open spaces, or providing flood and mapping information on the municipality’s website. Many CRS activities are already being carried out by NFIP communities who simply need to proceed with the application process to receive a discount. FEMA provides a free CRS manual with detailed explanations of these activities and their point credit allocations. For achieving a certain threshold of points, communities are placed into classes, from one to 10, that determine the insurance discount received. A Class One community receives 45 percent off all NFIP policies, while a Class Nine community receives a 5 percent discount. Joining the CRS has other advantages as well. By completing the application process, communities will have a compiled record of natural disaster preparedness activities, allowing them to assess their readiness in the case of flooding or other natural disasters. Today, communities throughout the country are more vulnerable than ever to natural disasters. In Houston, Texas, three 500-year flood events have occurred in the past three years, most recently being Hurricane Harvey. And here in North Carolina, last year’s Hurricane Matthew caused record flooding in many counties throughout the state. Precipitation records reveal that since the 1990s, heavy precipitation events have been growing in intensity and frequency, increasing the likelihood of 100-year or worse flooding events in any given floodplain. Communities are more at risk than ever of experiencing major flooding events, even if they are not near the coast or other major bodies of water. Putting into place an effective, well-documented, up-to-date flood management plan can make the difference between a community that weathers a natural disaster and one that is devastated. To enter the Community Rating System, communities first appoint a CRS coordinator to handle the application and renewal process and to serve as a primary contact with FEMA. After applying, the CRS coordinator will be in contact with the state’s ISO/CRS Specialist (found in Appendix G of the Coordinator’s Manual), who outlines the delegation of point credits for each community based on their activities. After this process, the community is given a class designation and the accompanying discount for all national flood insurance policies within the bounds of that community. Please visit successwithcrs.us and read the CRS fact sheet for more information regarding the Community Rating System. For communities ready to take the plunge, these tools will be useful for joining and recertifying with the CRS. The Community Rating System Quick Check is a tool to help effectively estimate the number of points a community will receive for its flood resilience activities. It also walks through the initial steps for joining the Community Rating System. This tool can be instrumental for communities applying to the CRS for the first time. The Community Rating System Explorer was developed by Coastal Resilience as a tool for CRS participants to maximize the points earned for Activity 420: Open Space Preservation. This map tool allows you to easily identify open spaces in your community that directly contribute to your point total. The list of Community Rating System Communities and their Classes is useful for communities interested in reaching out to neighbors regarding CRS activities. Detailed examples of other communities and their point-allocated activities can serve as a useful framework for new CRS applications. Neil Sullivan graduated from the University of North Carolina at Chapel Hill in 2016, where he obtained a bachelor’s degree in Global Studies. Neil’s work within the EFC at UNC focuses on utility rate surveys and online dashboard projects for several states. As an undergraduate, Neil worked with nonprofits Book Harvest and GlobeMed at UNC and continues to pursue volunteer work oriented towards community building.